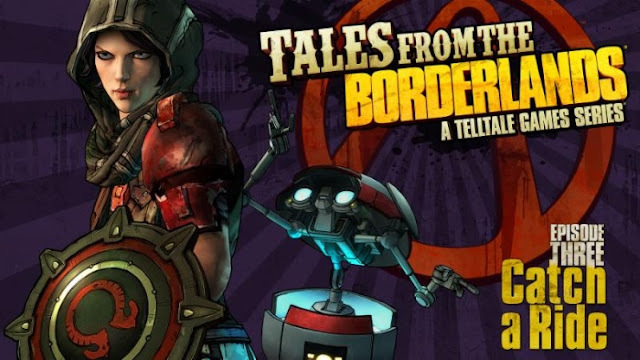 I am so thankful for Telltale Game's Tales From the Borderlands series. With the dark tones of The Walking Dead Season 2, Wolf Among Us and Game of Thrones, I was in desperate need of something lighter. The three episodes available now are some of the wittiest material Telltale has written in recent years. Main characters Rhys and Fiona show more depth with each episode. Spoilers are nearly unavoidable at this point. We've been struggling with how we write our Telltale articles for a while now. I've done my best to conceal major plot points, but there are some details covered in this article you may want to avoid if you want a pristine experience. Catch a Ride, opens in the same firefight the previous episode closed on. While most of the choices we've made so far haven't had long-lasting effects, the opening of this episode plays out entirely differently depending on a choice made in episode 2. From there however, the branch converges back into the main plot line. The framed narrative is a little tighter than many of Telltales catalog of games, but it isn't lesser at all for it. We meet a few new characters in Catch a Ride, including Vallory, who bears all the marks of a principle villain. She knows an awful lot about our heroes but I am still a little foggy on her motives. It would be uncharacteristic of Telltale to leave a character like that without fleshing them out, so I expect we'll learn more about her later. A few familiar faces turn up as well, most notably Athena from the Pre-Sequel. Apart from the really wonderful humor, watching Rhys and Fiona develop from their fragile beginnings is one of the really rewarding experiences in Tales. Fiona in particular has really come into her own as a clever and formidable adventurer, no more the (relatively) naive con she was two episodes ago. 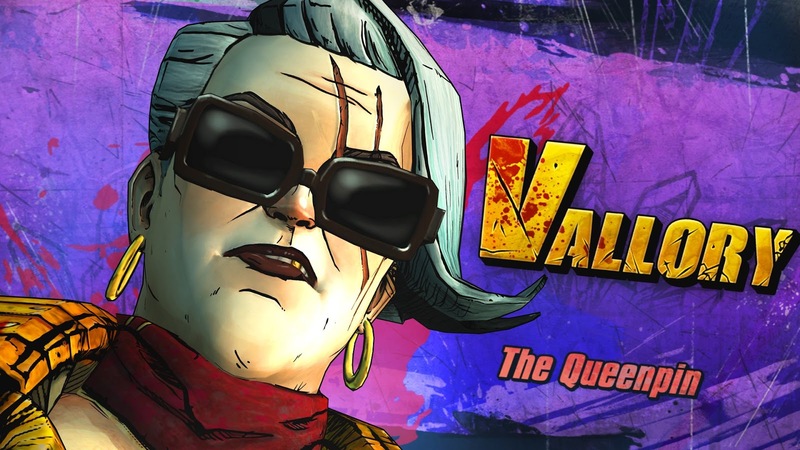 As I've said (twice before) Telltale has nailed the Borderlands universe. Tales From the Borderlands is consistently great. Each episode has managed to outdo the last, and if this is a trend, I can't wait for the next installment. Tales From the Borderlands is available on Steam, PSN and XBox Live for $24.99.